While I am already in my mid-forty, hair are getting thinner and grey-er (or should I said white-er), memory are getting worst, by the minute (don't try to ask me what I had as my lunch yesterday as you might need to wait rather long to get the answer ;-)), it doesn't stop me from learning and experiencing new things personally. Since young, I always have this mindset that when we are getting old (like in our 70s or 80s, if we are lucky enough), we will spend more time and rejoice in sharing our experience with others rather than gaining new experiences (of course, there are still exceptional cases). Why? Reason being that it might be too demanding for us mentally and/or physically by then, as it is, it might already take a great effort for us to just strolling in the park. I know, some of you might say that by then our memory might be so poor that we might not even remember our experience, so how to share? Here come the social media (especially Facebook) to help us keep track of our life journey (this explains why I like to share my photos in Facebook as I envisage one day I will rely on it a lot to help me remember my past/experiences). Hence, I do think that it is equally important to accumulate our experience while we are working hard to accumulate our wealth (digits in our banks). 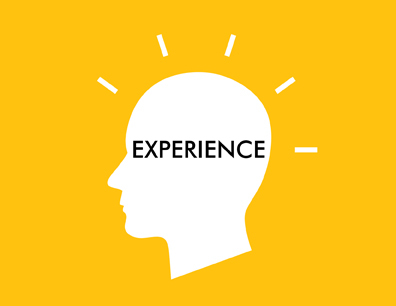 By "experience" I meant new things/knowledge that we learnt/gained by actually doing it e.g. learning different culture in another country by travelling, learning new languages by attending classes (or through e-learning), learning how to cook etc. Of course, by expanding our experience, it might inevitably affect our progress in accumulating our wealth but it is all worth it as some experience just cannot be compensated by the monetary term. Again, don't get me wrong that I am trying to marginalize the importance of wealth creation (most of the time, we still need money to gain the experiences), just like to share that we need to strike some balance in our journey of accumulation. So, the ideal scenarios is accumulating wealth and experience together.